The New York City-based Washington Heights-Inwood Coalition received a JAMS Foundation grant to develop a Spanish language school peer mediation manual and video of a simulated peer mediation session in Spanish, to be use nationally for those programs who may find it useful. These materials are now available for free from their website. 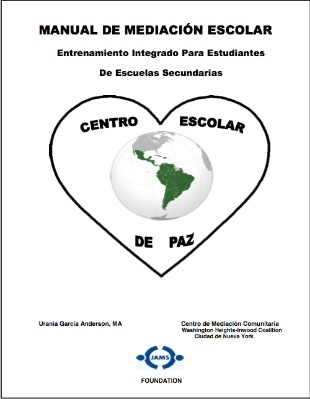 The manual, entitled Manual de Mediación Escolar – Entrenamiento Integrado Para Estudiantes De Escuelas Secundarias is 152-pages long, and the video runs a little over 20 minutes. In celebration of the International Day of Peace, the National Peace Academy is launching a free online curriculum, “Peace, Peacebuilding and Peacelearning: A Holistic Introduction.” This study guide designed for budding peace and community change leaders from children to adults. It is intended for both seasoned practitioners and those who are new to peacebuilding and who wish to create significant, meaningful and sustainable change in their personal lives, their communities, and the world at large. It was designed to be explored across the span of 12 weeks. IEP is a non-profit research institute dedicated to better understanding the social, economic, and political factors that drive peacefulness. IEP produces the Global Peace Index and the United States Peace Index, which measure peacefulness at national and regional levels and provide rich data, resources, and visualizations for teaching, including interactive maps. Through its new Prize for Peace Education, the Evens Foundation seeks to recognize organizations, associations or institutions – based and working in the EU – that offer training programs to teachers (among others) in learning how to manage interpersonal and/or intergroup conflicts in a positive and constructive way.The prize money of € 25,000 awarded by a professional jury and the Evens Foundation, will be shared between the award-winner and the dissemination/promotion of the winning training program (in cooperation with the award-winner). Deadline for submission: October 1, 2010. Peace One Day (POD) is an organization that celebrates an international ceasefire on the International Day of Peace, September 21. They have developed a Global Education Resource Pack that is now available in the six official languages of the United Nations. It’s free, online (and downloadable) and includes Peace One Day short films and interviews and exercise handouts. Thirteen lessons are included in the Global Pack helping young people to explore issues of peace, non-violence, conflict resolution and intercultural cooperation, using Peace Day as a focus. 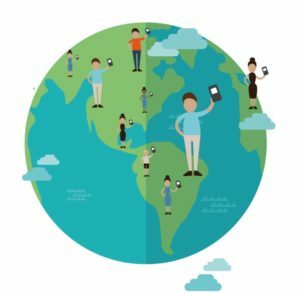 POD Education materials are now reportedly being used by over 6,000 educators in over 140 countries. Resource packs specialized to match United States and U.K. educational standards are also available, so be sure to pick the collection most relevant to your location. The U.S. and U.K packs have 21 activities included, more than the more generic Global pack that has been translated into more languages. Click through to out more about the Peace One Day Education Resource Packs. The United Nations has declared 12 August 2010 – 11 August 2011 as International Year of Youth: Dialogue and Mutual Understanding. This should provide some exciting the opportunities for those working in the area of youth and peacebuilding, and we encourage everyone to get involved. My November 2009 began in an upbeat mood. I attended two successive conferences in South Korea in the early part of the month. The first conference focused on promoting interfaith understanding and the need to establish a Peace Education Center that can serve not only Korea but the Asian region as well. The second conference considered various themes (restorative justice, evaluation, conflict resolution education and peace education) and several members of the GPPAC Peace Education Working Group served as resource persons. (GPPAC stands for Global Partnership for the Prevention of Armed Conflict). The full week in Korea was a happy time for me because both the conferences and the Peace Education Working Group meeting at the end of that week yielded fruitful results. My hopeful mood continued when I returned to the Philippines. We conducted a Peace Education Training Workshop for Educators in South East Asia. There were 26 participants from seven countries in the region, Cambodia, Indonesia, Malaysia, Myanmar/Burma, Philippines, Thailand and Vietnam. As the end of November approached, one thing became clear. The barbaric violence turned into a wake up call or a moment of awakening for the whole nation. There are now countless voices of protest, asking for an end to political warlordism, private armies, and the proliferation or firearms, as well as for the respect of human rights and the rule of law. I hope that this dark November day would not be in vain. May it yield the kind of light that we seek, so that such an event will not happen again! This informative manual is a document created to bring value to discussions and decisions about development and conflict. 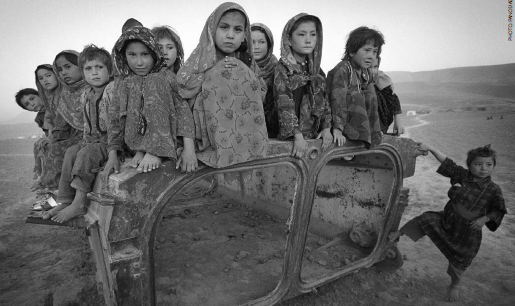 It is part of a series that explores how development assistance can address key risk factors associated with conflict and conflict resolution. The objective of the document is to inform about how to integrate best practices in conflict management and mitigation into more traditional development sectors such as agriculture, economic growth, democracy, education and health. This document is helpful because it depicts monitoring and evaluation tools that have been developed specifically for gauging the effectiveness of programs that incorporate both youth and conflict. Max van der Stoel award 2009 goes to GPPAC organisation! I’m glad to share with you this delightful event. Our Integration and Development Center for Information and Research (IDC) in Simferopol, Crimea, Ukraine has been awarded the Max van der Stoel Award for 2009. In 2001, the Ministry of Foreign Affairs of the Netherlands established an award honouring the former OSCE High Commissioner on National Minorities, Mr. Max van der Stoel. The prize is awarded to a person or institution in recognition of extraordinary and outstanding achievements aimed at improving the position of national minorities in the OSCE area. The ceremony will take place on 14th of October 2009 in the Hague. – any other activity recognized as essential to constructing the defences of peace in people’s minds (Rule 3.1 of the General Rules).